In 2001, Howard Jolly asked Rick Martin and Terry and Brenda Martin to back him up for some music he was doing at a Rising Above conference. Since then they have become known as the Rising Above Band, a ministry of Rising Above. 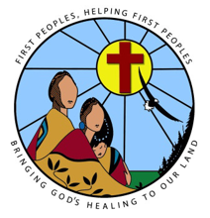 Howard, a Cree from Waskaganish, Quebec is presently pastor of the Winnipeg First Nations Alliance Church and lives in Niverville, Manitoba with his wife Karen. Rick Martin also lives in Niverville with his wife Linda, Oji-Cree from Muskrat Dam, Ontario. They are missionaries with My People, a ministry under Indigenous Pathways, serving First Nations. Terry and Brenda are also living in Niverville and Terry has served full-time with Rising Above since 2003. Since their first time together, the band has seen God use their music to bring comfort, healing and encouragement to audiences of all age and race. Their songs are a mix of gospel, contemporary worship, hymns, and original recordings sung in an easy listening country gospel sound. In 2004 they released their first CD, Everlasting Love, in 2007 their second CD, Love is the Best and in November 2013 they released their third CD Redeemed Redman. Copyright © 2014 Rising Above Abuse Counselling, All Rights Reserved.